I'm not sure about you, but I have been drooling over the new Rag & Bone shoes and handbags even more than usual. In particular, there blush colored handbags and croc embossed shoes are making my heart beat fast. Can we all agree that this blush colored mini bag from Rag & Bone is totally *quiche*(Ja'mie: Private School Girl reference)?! It has a bit of an Alexander Wang designed Balenciaga vibe, combining a tough element with a completely feminine color. Their new mules and spring sandals are no exception to this tough-chic aesthetic. 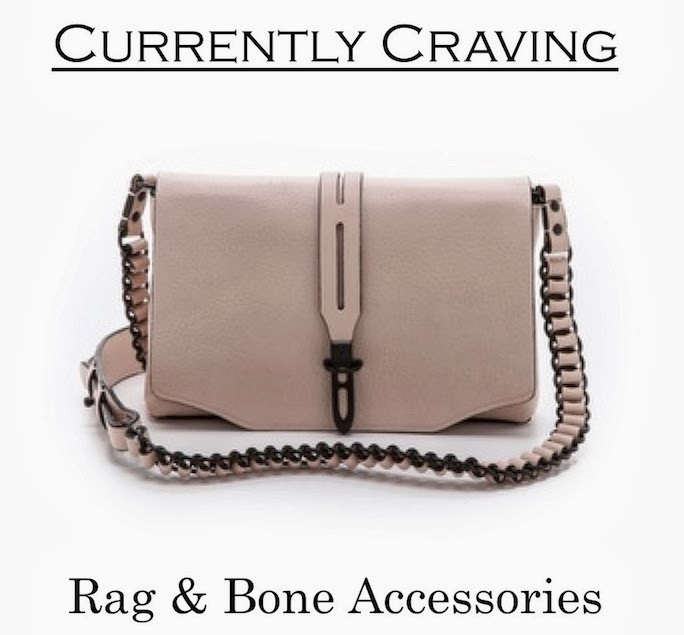 Just take a look at some of the new Rag & Bone accessories I'm currently craving. What's your favorite? the bag is amazing!! what an amazing color and design is so edgy. Lovely bag, it is totally my style.